Prospects for scrap metal have rebounded in a positive fashion since 2016, with anticipation of moderate and continued growth through 2017 and 2018, based on overall metal market trends. "We have seen the cyclical upturn broadening and firming throughout the year, leading to better than expected performances for both developed and developing economies," commented T.V. Narendran, Chairman of the world steel Economics Committee. He noted that previously identified risks such as rising populism/protectionism, US policy shifts, EU election uncertainties, and China deceleration, although remaining, have to some extent abated. Geopolitical tension in the Korean peninsula, China’s debt problem and rising protectionism in many locations continue to remain risk factors. In 2018, the group expects global growth to moderate, mainly due to slower growth in China, Narendran said, while in the rest of the world, steel demand will continue to maintain its current momentum. Steel recovery is related to cyclical rather than structural factors. The US economy has performed well, in conjunction with strong consumer spending and high business confidence. While concern about the implications of EU and nationalism remain, migration has receded as an issue while the EU economic recovery broadens. Steel demand in developed economies is anticipated to increase by 2.3% in 2017 and 0.9% in 2018. Dr. Copper – the metal with a Ph.D. in economics – is always the first to know which way the economy will go. Copper’s broad use in industry and many different sectors of the economy, ranging from infrastructure to housing and consumer electronics, makes it a good early indicator of economic activity. As an effective indicator of economic activity, rising copper prices are typically followed by economic growth and vice versa. Buoyant economic growth globally, fueled by increasing demand for the metal in electric cars and for other products, is anticipated to result in a copper market deficit in 2017 and 2018, therefore helping to strengthen copper pricing. While copper grew by 6% in 2016, according to the International Copper Study Group (ICSG), world mine production is expected to decline by an estimated 3% in 2017 and grow by 2.5% in 2018. New capacity brought online in countries such as Mexico and Peru helped push up the 2016 total. In 2017, however, total production was negatively affected by supply disruptions in Chile and Indonesia. ICSG is projecting supply deficits in 2017 and 2018. A deficit of about 150,000 metric tonnes (t) is anticipated in 2017, and about 105,000 in 2018, in spite of increased production. 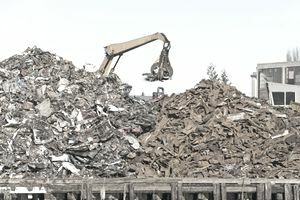 Chinese scrap copper imports are reported to be up by 14% this year, with experts postulating that Chinese purchasers are building inventory in case of Some analysts suggest that Chinese buying organizations may be shoring scrap copper supply to avoid shortages next year, with concern that a ban could impact up to seven different types of scrap copper imports. The International Lead and Zinc Study Group (ILZSG) reported that the supply gap for zinc grew 3% year-on-year for the first six months of 2017. According to preliminary data recently compiled by the ILZSG, the global market for refined zinc ​metal experienced a shortfall of 203 000 t, at 6.74-million tonnes, over the first six months of the year. As of August 2018, prices were up 36% since the start of the year. According to the U.S. Geological Survey, about 25% (35,000 tons) of U.S. refined zinc production was sourced from recycled material recovery.